This weekend marks the return of Where Are They Now? 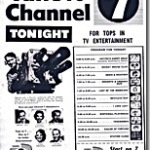 on the Seven Network and headlining the return episode is a reunion of cast members from the ’80s soap Sons And Daughters. Included in the reunion will be Rowena Wallace – whose on-screen ‘Pat the Rat’ persona was pivotal to much of the series and earned Wallace a TV Week Gold Logie in 1985 – joined by fellow cast members Peter Phelps, Ally Fowler, Tom Richards, Ian Rawlings and Belinda Giblin. 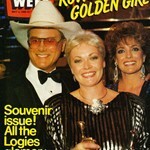 After the glory of winning the Gold Logie in 1985, Wallace has been in and out of the spotlight ever since – but not always for the right reasons. In 2005, Wallace was facing a 20-year jail term for falsely claiming $30,000 in Centrelink benefits, during a time she was living in a commission house and suffering depression. Wallace’s return to the spotlight came in the unlikely form of reality show Celebrity Overhaul (think The Bigger Loser for celebrities) later followed by a role in the perennial soap Neighbours. The Where Are They Now? reunion of Sons And Daughters cast members comes after the show has staged similar reunions for cast members of Prisoner, Number 96, The Young Doctors and Hey Dad. Celebrity Overhaul, Neighbours, Rowena Wallace, Seven Network, Sons And Daughters, TV Week Logie Awards, Where Are They Now? I quite like Rowena. I wrote this a couple of years ago.